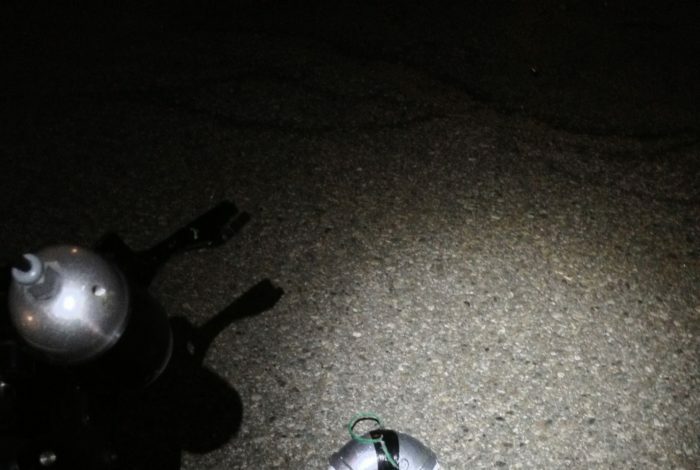 Evidence against Tsarnaev: Shrouded in darkness, lacking clarity. U.S. Attorney’s handout. Grainy, dark, faded and inconclusive. The state of the evidence thus far presented against Boston Marathon bombing suspect Dzhokhar Tsarnaev can be summed up in those four words. From the first moments after the FBI’s April 18, 2013 press conference naming “White Hat” and “Black Hat” as the prime suspects, law enforcement has contended they had video that conclusively showed Tsarnaev dropping a backpack bomb at the Forum restaurant. They were less confident that video surveillance at MIT showed the brothers ambushing MIT Officer Sean Collier. Instead, they had witness Dun “Danny” Meng to corroborate that Tamerlan Tsarnaev admitted to the killing. Yet the video images and evidence photographs entered into the court record are proving to be anything but the “Eureka” moment former Boston FBI Chief Richard DesLauriers described in a National Geographic docu-drama. • In the Forum video, we do see the brothers walking with backpacks, like hundreds of other marathon-goers, down Boylston Street. We see the brothers split, with Tamerlan Tsarnaev walking ahead of his little brother. We see Dzhokhar standing at the tree, but we only see a slight shrug that could be him placing the backpack at his feet. We certainly don’t see the backpack and we can’t see if he left with it before the fatal bombing. • We do see Tsarnaev walking away without his backpack in subsequent photographs, but there was no indication in the much-heralded video if he dropped it at the Forum or somewhere between there and the Boylston/Fairfield intersection. •In the surveillance video from MIT, we see two distant, dark and grainy people walk behind the Koch Building toward the Stata Building and up to Collier’s patrol car. We see other people walking and bicycling in the Quad, but no one seems to react to any loud gunshot-like noises. Finally, we see two grainy people run away. Viewers can’t even tell if these two people are male or female. Bicycling witness Nathan Harman says he saw a man who looked like Dzhokhar Tsarnaev leaning into the patrol car, but the defense didn’t bring out the fact that the man was quickly cycling by at night. • Watertown police testified Monday that the Tsarnaev brothers attacked them with guns and pipe bombs on Dexter Avenue early in the morning on April 19, 2013. Tamerlan was killed in that shootout and Dzhokhar was on the run. 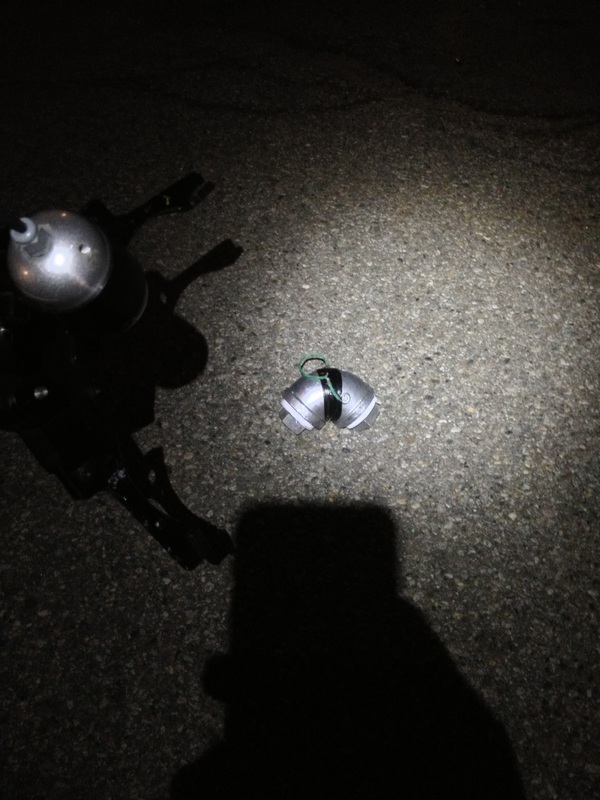 However, the only pictures the jury and the public saw of the pipe bombs on the streets of Watertown are dark and, frankly, not of very good quality for an investigation of this magnitude. While collecting the bombs quickly is tantamount for the safety of both the police and residents, surely Watertown emergency service personnel have flood lights that could have been employed to improve the quality of the pictures. • Finally, jurors got a chance Monday to view the boat where Tsarnaev was found hiding the following evening after the shootout. The boat notes were said to contain a confession—although that, too, might be a dubious claim—and were still scrawled upon the bullet-ridden, blood-stained boat. However, as reporters noted, the scribbles, too, had faded over time. With the defense apparently making little effort to fight until the sentencing phase, who will ask why the video and photographic evidence presented in the case to date is so grainy, dark, faded and inconclusive? In a death penalty case, the answer is important.